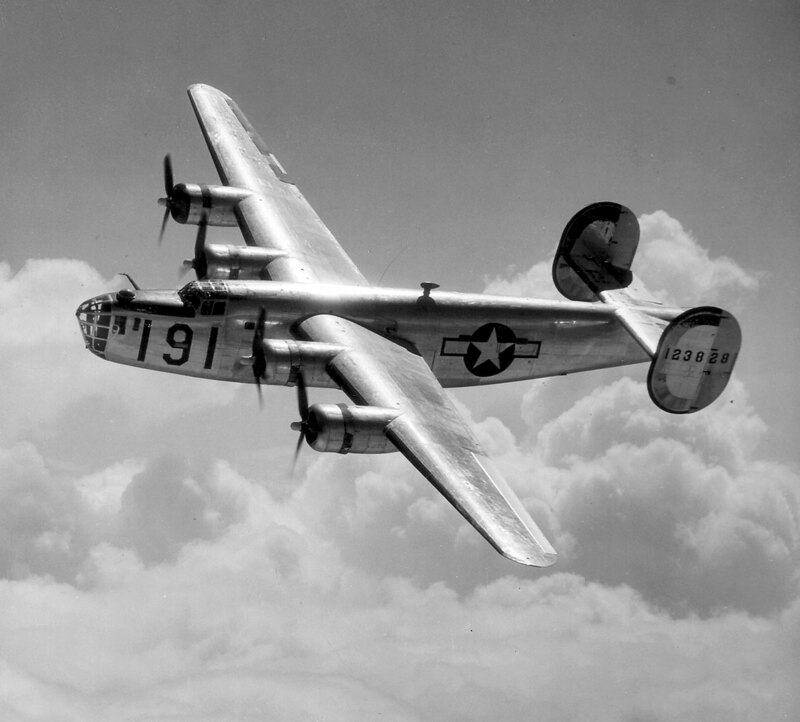 On May 4, 1944, a B-24 Liberator with three crewmen aboard took off from Westover Field in Chicopee, Massachusetts, for a training flight. Shortly after take off, the aircraft experienced complete engine failure in all four engines. According to two civilian witnesses living on Burnett Road in the neighboring town of Ludlow, all four engines were silent as the aircraft passed over their home, and someone aboard fired a red distress flair from the aircraft. Moments later the B-24 crashed and exploded in a thickly wooded area, about 3/4 of a mile from Westover Field. The plane came down on land owned by the Chicopee Water Department in Ludlow just before the Chicopee town line. Pilot: Captain Harold H. Melken, 26, of Watertown, Massachusetts. Co-pilot: 2nd Lieutenant William F. Davis, 21, of Baxter, West Virginia. Tec-Sgt. Harry Schultz, of Kansas City, Mo.